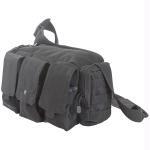 The ASSASSIN is a great bag for people on the go. It has a low profile to be comfortable while on foot, bike, or motorcycle; the stabilization strap keeps the bag in place so it will not fall off your shoulder while leaning over or move about while you travel. 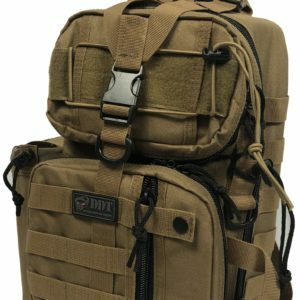 The DDT ASSASSIN has high quality locking zippers, a removeable Velcro holster, has easy carry handles on the top and bottom of the bag, mole webbing for attachments, the back panel has a hidden hydration pocket will hold a 2 Liter bladder, and is perfect to hide valuables while traveling. The ASSASSIN is constructed from a high quality 600 denier polyester with a PVC water resistant lining. DDT is a veteran owned and operated company who stands behind all our product with a lifetime warranty against manufacturing defects. Dimensions: 17?x10?x9? deep when fully filled out.